Welcome to the website for Selly Oak Methodist Church. We are a warm and welcoming family church which is part of The Methodist Church in Britain. If you’re new to the area please drop in to one of our services and say hello to the welcome team, or contact us here. Details of upcoming events are in the Weekly Notices and Magazine. We are located on Langleys Road in Selly Oak about fifteen minutes walk from the University of Birmingham and about ten minutes walk from Selly Oak railway station. We are a welcoming a diverse family church of around two hundred members along with our many children and young people. 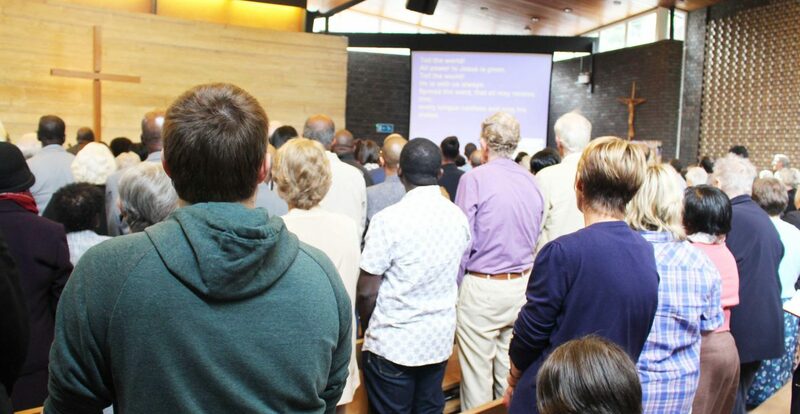 We welcome students to our church on a regular basis and if you're a first year or newly looking for a church, please do introduce yourselves to us on a Sunday morning. Each Sunday we have four services. Our Main Sunday Service is at 10:30am and features a Junior Church for children and young people. Please do drop in to whichever service suits you. Children and Young People are a huge part of church family life at Selly Oak Methodist Church. We have our Junior Church, a Stay and Play, as well as hosting Rainbows, Brownies, Guides and Rangers. To find out more about these groups please get in touch with our Family Networker Julia Sheard via our Contact Us page.